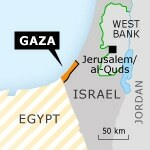 The Gaza Strip was also abruptly cut off from its historic Palestine in 1948. The region fell under Egyptian military administration until 1967. Again, this was a development with dramatic social and economic implications. The Gaza Strip lacked sufficient socio-economic capacity to absorb the massive stream of Palestinian refugees. Egypt equally lacked the means. The activities of the United Nations Relief and Works Agency (for Palestine Refugees in the Near East) (UNRWA) were of crucial importance for the survival of hundreds of thousands of Palestinian refugees. From Gaza, Palestinian guerrilla fighters (fedayeen) also organized armed attacks on Israel. In turn, Israel fought back and organized armed assaults. These were just a taste of what was to come. 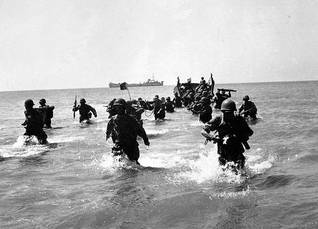 In an opening strike in the so-called Suez Crisis – a combined British-French-Israeli military attack on Egypt, the objective of which was to terminate the rule of President Gamal Abdel Nasser – Israel occupied the Gaza Strip at the end of October 1956. Although Israel was forced to withdraw under American pressure, the occupation lasted for five months. This was enough time for the Israeli army to systematically track down armed Palestinian guerrilla fighters, who were in many cases liquidated, or taken to Israel as prisoners. Although the Egyptian authorities kept the Palestinians on a tight rein, they were offered an education and employment possibilities in Egypt. They could enter and leave the country on a travel document issued by Egypt for Palestinian refugees.